Are you interested in advancing your accounting career while also mastering business principles that will allow you to be more marketable in your field? 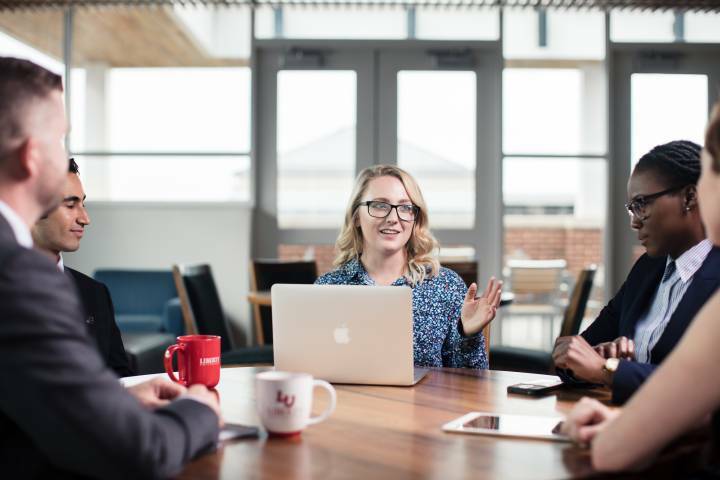 Liberty University’s online degree in Accounting with a focus in Business provides a core of Accounting curriculum while also expanding your knowledge base with a flexible selection of strategic business courses that can be tailored to suit your individual goals. This advanced business program is accredited by the Accreditation Council for Business Schools and Programs (ACBSP) and is designed for those who want to work in or be marketable in a variety of positions within the field of accounting. Why Choose Liberty’s MS in Accounting – Business Online Program? A career in Accounting requires the highest level of accuracy and security to ensure business growth and success. When you earn an online Master’s degree in Accounting from Liberty University, you will not only be trained in these crucial skills, but you will be grounded in the biblical principles needed to make the most difficult business decisions with Christian ethics. The online Masters in Accounting – Business program is taught by industry-leading business professionals, so you can be confident that your accounting and business expertise is rooted in real-world practice. This combination of industry expertise and biblical ethics is critical for a responsible and successful career in the highly detail-oriented and complex industry of Accounting. What Will You Learn in the Online Master’s Degree in Accounting – Business Program? Through the online Masters in Accounting- Business online degree program, you will advance your accounting expertise through rigorous, specific curriculum in Accounting Law, Research, Ethics, and Auditing. The online Masters in Accounting is designed to build on previous Accounting experience and coursework to expand your financial analysis and management skills to effectively handle a wide variety of accounting challenges in many different industry settings. The Business area of study for the online Masters in Accounting allows you to customize your course content to increase your marketability. You will be able to choose from several areas that will equip you for management roles, decision making, strategic marketing, and international business. These Business electives will help you broaden your appeal to potential employers, or help you specialize in a specific role. By earning your Masters in Accounting from a non-profit university whose online programs ranked in the top five of more than 2,100 online colleges and universities for academic quality, affordability, and accessibility, you will be set apart from others in the field. Students can complete the online Masters in Accounting – Business in under two years. The MS in Accounting – Business is accredited by the Accreditation Council for Business Schools and Programs (ACBSP). As an online student, you will have the opportunity to network with leaders and experts in the Accounting and Business fields from across the country. Accounting coursework can be used towards accrual of hours needed to sit for the CPA exam. Master of Arts in Executive Leadership – An executive leadership-focused, practical degree that can be completed in as little as one year. Master of Business Administration (36 hours) – A corporate business-focused degree that will prepare you to work in many fields and equip you for a variety of business roles. Master of Business Administration – Accounting – A corporate business-focused degree with added accounting expertise for additional marketability. The Master’s degree in Accounting – Business will prepare you for advanced positions in private, public, profit, and non-profit accounting settings. The Business area of study also allows you to focus your studies to be more valuable in your particular industry. * Data obtained from the Occupational Information Network (O*NET) under the sponsorship of the U.S. Department of Labor/Employment and Training Administration (USDOL/ETA). Information obtained on September 19, 2017. *Please Note: The Master of Science in Accounting requires specific accounting coursework as a prerequisite to admission.